Our focus at Pelican Landing Dental is providing dental care focused on individual needs, but regardless of the patient, preventive dentistry is an essential part of the treatment plan. We offer a variety of preventive services that make keeping your smile whole and healthy for life simple. From preventive screenings and teeth cleanings to nightguards and professional-grade toothpastes, our Bonita Springs, FL dental office will keep your smile whole and healthy. Call our team to find out more or schedule an appointment. Every patient’s smile is different, but regardless of the patient, regular dental checkups and teeth cleanings are an essential part of maintaining optimal oral health. The American Dental Association recommends patients visit the dentist at least two times each year, and the Pelican Landing Dental team is in complete agreement. Unless there are severe oral health concerns that need to be monitored more frequently like advanced gum disease, we encourage our patients to visit the office every six months. During these checkups, we use diagnostic tools, and visual and tactile examination to screen for common oral health conditions including tooth decay, gum disease, and oral cancer. 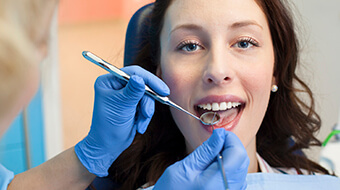 One of our skilled hygienists will remove plaque and tartar buildup from teeth. Before you leave, one of the dentists will sit down with you to discuss any areas of concern, and we'll partner with you to develop a personalized, ongoing oral health care treatment plan. If you experience dental grinding and clenching while asleep, you may not know that this bad habit, known as bruxism, is actually an oral health concern that may lead to chips, cracks, and wear – not to mention jaw pain. We create custom mouthguards that can protect you from this issue. 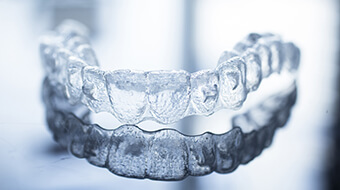 Often referred to as nightguards, these oral appliance place a physical barrier between your rows of teeth that prevents wear from this unconscious clenching and grinding. We custom fabricate these nightguards so they provide optimal comfort and protection. Oral cancer claims the life of one person in the US every hour. More than 50% of those patients diagnosed this year will not survive five years beyond their initial diagnosis. Between 25 and 30% of patients diagnosed with oral cancer do not participate in any of the high-risk behaviors associated with the disease. According to research conducted by the Oral Cancer Foundation, the best way to decrease the number of annual oral cancer-related deaths is to diagnose the disease in its earlier stages. We include screening for this deadly oral health concern as part of every six-month checkup, and our dentists have advanced training and expertise in early detection and diagnosis of oral cancer. 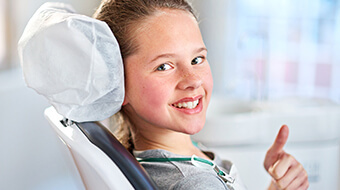 For younger patients who are still developing their oral hygiene skills and adults who are prone to decay, we may recommend fluoride treatments as part of regular six-month checkups. Fluoride is a mineral that helps to strengthen tooth enamel, neutralize acids, and protect teeth from cavity-causing bacteria and plaque. You may get adequate doses of fluoride from daily brushing with fluoridated toothpastes, but if your smile could use an extra boost, professional fluoride treatments may be beneficial. Most patients are able to effectively clean their teeth and receive adequate amounts of fluoride from over the counter toothpastes. However, if you experience frequent tooth decay, we may recommend prescription-strength anti-cavity toothpaste. We prescribe Clinpro 5000 fluoridated toothpastes for patients who regularly have cavities. If you’d like help choosing other oral hygiene products, please don’t hesitate to ask our hygienists or doctors. We’d be happy to talk to you about what products will best suit your oral health needs. Always brush twice a day using a fluoridated toothpaste. Brush for at least two minutes at a time, making sure to reach all the surfaces of teeth. Floss daily to remove plaque and debris from the sides of teeth. Replace your toothbrush every three months to ensure optimal cleaning. Store your toothbrush away in a cabinet or under your counter. Use a mouthwash or fluoride rinse daily to remove additional plaque and strengthen teeth. This habit should not replace daily brushing and flossing.